Although September did not in fact see releases from DistincT, Allison Victoria, or Dream Chief—like the artists led us to believe—maybe we’ll see those later on in October’s installment. Besides, there was plenty of other quality music that I came across last month, including one “older” song I had just discovered a few months late. 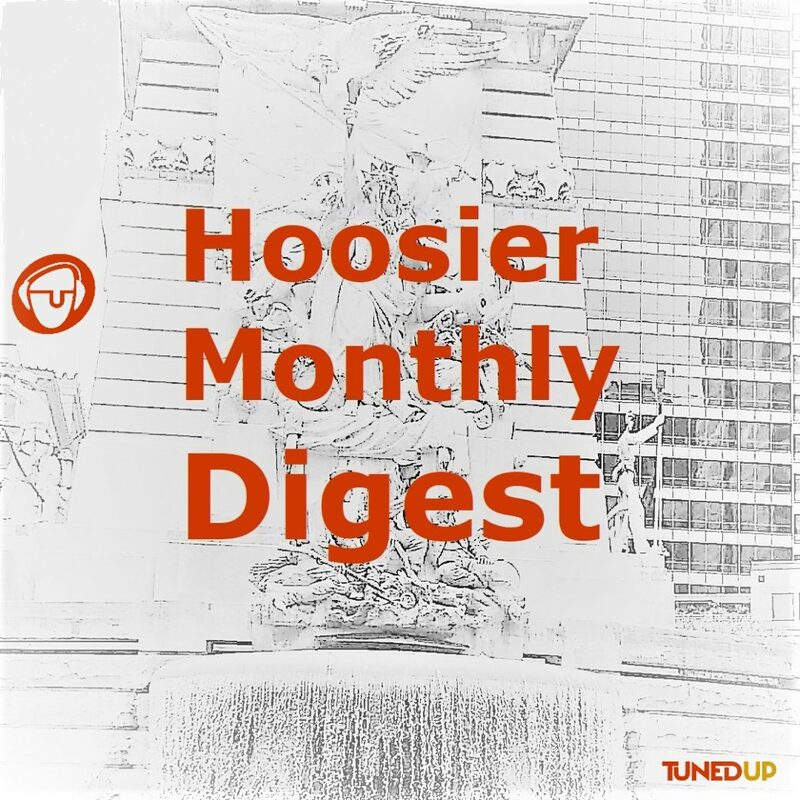 Once again, I’m featuring quite a bit of hip-hop, but with the amount of marvelous material consistently coming out of the Hoosier State these days, it almost feels like it’s become a sort of requirement for me. Forstory – “You Don’t Get Me”: I’ve always been fascinated with songs whose lyrics don’t necessarily fit with the music, and the new single from Forstory is no exception. Instrumentally, “You Don’t Get Me” is a fun rock chart that’s straightforward enough for a party, but unique enough to please even the snobbiest of listeners. Lyrically, though it’s an emphatic “break up” anthem, and it’s this exact sort of musical dichotomy that really makes the sax-y indie pop quintet stand out. Of course, the intense involvement of stellar saxophonist Drew Montgomery certainly doesn’t hurt either. Diop – “Gold Wrist”: Diop dropped his Vroom EP earlier this year, and while I didn’t see a whole lot of replay value with that particular release, I can’t seem to stop playing the lead single from this latest effort. In some ways the bright-sounding, head-bobbing banger “Gold Wrist” harkens back to hip-hop’s golden era, particularly with the beat and underlying elements of the song. When you consider that, Diop’s booming vocal effects and hype-inducing cadence are really just icing on the cake. It may not even be the highlight from Still Shinin’, which itself just dropped today, but it’s definitely up there! Peteyboy – “7x”: The project this song is taken from, Petey Sampras the Clay Tape, actually dropped back at the beginning of July, but with Peteyboy’s formidable yet smooth flow and a pivotal tempo change that keeps things interesting, I think that “7x” is well worth the listen, even months after its initial release. Add in some on-point wordplay, and it’s no wonder hip-hop heads statewide are starting to take note. JAC – “Holy Water”: At first I didn’t particularly care for the newest JAC single, but the more I listen to “Holy Water,” the more I find that I actually enjoy about this song, from the ethereal synths over top of slithering electronics, to the echo-y vocal effects throughout, to the slower, more chill overall vibe of the song, which is still somehow simultaneously upbeat and driving as well. Sirius Blvck – “vonnegut”: Last month I covered the lead single from Blvck’s brand new album major threat., “New Jacks,” and its successor “Hard2find” was phenomenal as well. But this brief cut, originally a poem named in honor of Indy’s own famed author, blows both of those tracks out of the water. Here, Blvck goes off nonstop, bar after bar after bar, while a simplistic yet perfectly complementary beat serves as his instrumental support. My biggest (and really only) gripe with “vonnegut” is that it’s barely been 2 minutes before the song comes to a close.